(KZN.RU, January 20). Today the KHL star match was held in the “Tatneft-Arena”. The game became a bright culmination of a Stars Weekend, which ended the Hockey Stars Week in Tatarstan. The players of the Chernyshev Division won in the mini-tournament. 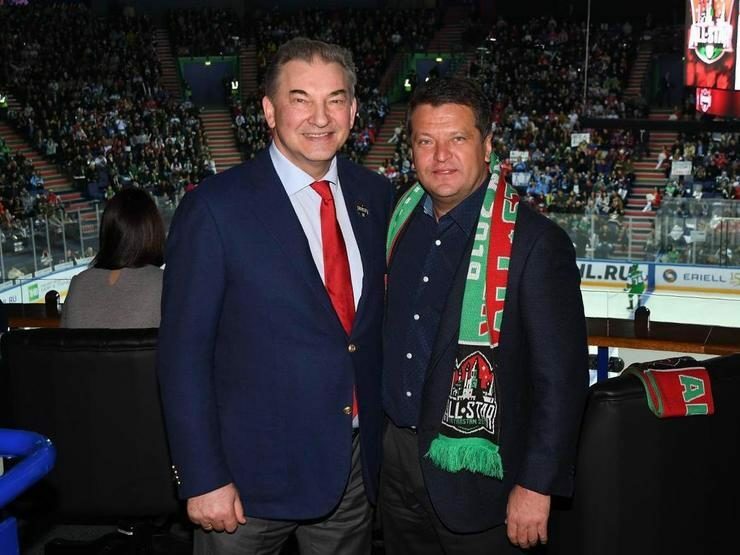 Ilsur Metshin, the Mayor of Kazan, was among the numerous spectators watching the game of favorite hockey players from the stands of the ice palace. The start of the mini-tournament was given by Farid Mukhametshin, the chairman of the State Council of the RT, Vladislav Tretyak, the President of the Hockey Federation of Russia, and Dmitry Chernyshenko, the President of the KHL. In the first semifinal, the hockey players of the Chernyshev Division won rivals from the Kharlamov Division with a score of 5:3. The highlight of the match was Zinetula Bilyaletdinov, the head coach of the Kharlamov Division and the head coach of the “Ak Bars”. He volunteered to perform the shoot-out, but Juha Metsola from the opposing team reflected the shot. In the second semifinal, the Bobrov Division overtook the Tarasov Division. Hockey players fought for a third place to the last. Having played a draw (7:7) with the team of the Kharlamov division, they lost to rivals in the shoot-out. Danis Zaripov, Vladislav Podyapolsky, Paul Postma, Sergey Mozyakin played in the Kharlamov Division, which took the third place. In the final, the Chernyshev Division defeated the Bobrov Division with a score of 4:3 and became the winner of the master show and the star match for the first time. Olympic champions Alexander Maltsev and Alexander Pashkov awarded the hockey players.